As my oldest finishes her last week of elementary school, I have been remembering what it was like when she started Kindergarten. Back then, I saw many overweight fifth graders, wondered why that was the case, and realized it would be a challenge to get her through the next six years with healthy eating habits intact. Along with reading, writing and arithmetic, it became just as important that she learn how to love food that loves her back. This meant making fruits and vegetables the norm and explaining why they help our bodies more than junk food. 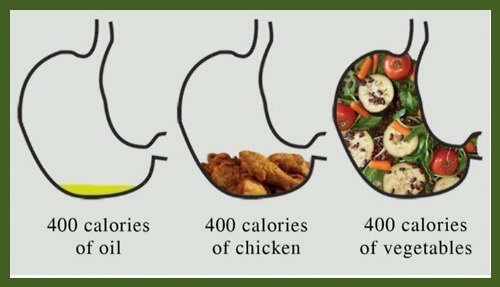 Even a kindergartener can understand a picture that shows how fruits and vegetables can fill up the stomach without eating more calories than the body needs. It meant limiting her exposure to junk food because taste preferences develop early. A recent study found that if children are exposed to salt, sugar and fat at a young age, they more likely they are to develop a taste for them, causing them to make poor food choices as they get older. It meant limiting her beverage choices because children who drink sugar-sweetened beverages eat more unhealthy foods, while those who drink water eat more vegetables. It meant limiting her exposure to food marketing because children under 8 years old can’t understand the persuasive intent of marketing and older children are also vulnerable. Ads create a desire for the product which puts parents in a “damned if you do, damned if you don’t” situation: if you say no, the child feels deprived and if you say yes, the child’s diet will reflect the poor nutritional quality of what is advertised. You can’t take the sugar of 10 oranges and squeeze it out and eat it and not expect your pancreas to be overwhelmed by the volume of sugar. To use Dr. David Katz’s metaphor, it meant safeguarding her all these years from the obesogenic environment, while teaching her how to swim against the tide in a state with the third highest rate of childhood obesity. We would recognize that just as swimming must be taught, so must swimming rather than drowning in the modern food supply and sea of technology. We would teach these skills systematically and at every opportunity, and do all we could to safeguard those who lack such skills until they acquire them. Swimming is not a matter of willpower; it’s a matter of skill-power. So, too, is eating well and being active in a world that all too routinely washes away opportunities for both. To help teach those important skills, Bettina Siegel of The Lunch Tray recently created a video for children. I managed to teach my daughter to learn to love food that loves her back, but this video would have made my job that much easier if it had been around six years ago. With the additional challenges today’s parents of young children face in raising healthy eaters, they need all the help they can get. Tags: Dr. David Katz, Food Marketing, The Lunch Tray. Bookmark the permalink. Pingback: An Update on Mr. Zee! Great visuals in this post. Great title, great references. Thanks for compiling a thoughtful post. I appreciate the feedback from another thoughtful writer! Excellent post, Casey. You’re making an immeasurable impact. Thanks! Thanks for your post! Love what you are doing with your daughter and kids. As a parent, I know it can be tough. 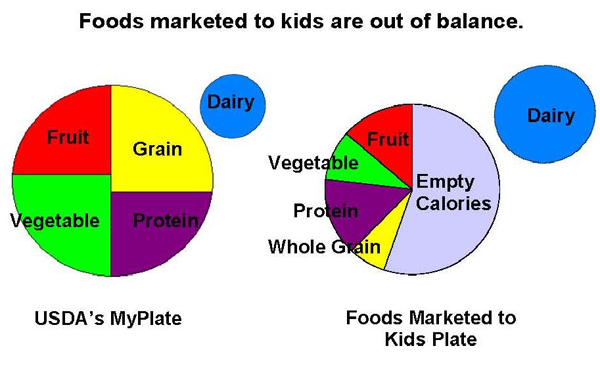 As you know, not all parents are on the same page regarding healthy food. I believe awareness it key! Thanks for doing an amazing job of getting the message out to parents!